A private sleeping train compartment in Belarus costs around $6 for an eight hour trip. This is around 70 times cheaper than travelling with a Western equivalent such as the American Amtrak. Contributing around 2.2% to yearly Belarusian GDP, Belarusian Railway is a large governmental enterprise employing 79,000 people and providing 5,500 km of railway connections. In 2013 Belarusian Railway started to modernise. It purchased Swiss Stadler trains and introduced a new service – City Lines. These connections function similarly to short-distance fast commuter trains and connect agglomerations near to Minsk. In 2015 they transported 3,5m people. Today, despite increasing efforts to modernise, Belarusian Railway is not yet living up to its potential. The train network in Belarus is well-developed, passenger trains are never late, and service is cheap. However, trains tend to be slow, schedules are badly thought out, and the customer service has room for improvement. Breaking the one-enterprise monopoly might help shake-up the Belarusian Railway and boost its economic standing. Belarusian Railway was established in 1862 as a part of the Warsaw-St. Petersburg route. Because of the country’s strategic position between Russia and the rest of Europe, Belarusian Railway has been a success since its foundation, with freight and passenger transportation thriving. Today, it takes around eight hours to travel in a sleeping car to Warsaw or Moscow, around the same to Kiev. Fast business class trains can reach Vilnius in two hours and other regional cities in Belarus within three hours. Belarusian Railway is the largest operator of freight and passenger trains in the country. It accounts for up to 75% of all freight transportation, and carries around 40% of all public transportation passengers in Belarus. For several years, Belarusian Railway has retained its position in the top-20 government based enterprises that generate significant profit. In 2015 it was the 13th most profitable, earning around $11,5m. At the same time, due to growing tensions between Russia and the European Union, Belarusian Railway recently witnessed a significant drop in freight transportation and faces severe economic challenges in the face of an approaching market economy. To a large extent, Belarusian Railway remains a legacy of the Soviet Railways and to this day functions according to the pattern set during Soviet times. It praises its social responsibility in terms of passenger traffic, keeps prices low and functions similarly to large governmental-owned enterprises that employ large numbers of people with perhaps excessive social benefits. Similar enterprises in Lithuania and Latvia modernised a while back: they raised prices for both passenger and freight transportation, closed down unprofitable routes and function more or less as self-sustainable businesses. Other countries, such as Poland, built upon their railway heritage and significantly developed some of their passenger routes, introducing one of the fastest trains in Europe in the Gdansk tri-state area. Belarusian Railway is a mega-entity that includes much more than just train transportation. On 1 January 2016, Belarusian Railway consisted of 29 unitary enterprises, seven separate structural branches and three subsidiaries abroad. The enterprise operates several electro-mechanical factories and related production in Homel, Barysau, Baranavichy and Brest. It owns large depots of train cars construction in Minsk and Homel. Belarusian Railway also controls reinforced concrete production plants in Asipovichy, Brest and Baranavichy. In addition, the industrial giant owns a franchise of more than 150 "DarOrs" grocery shops, a children's railway network in Minsk, and an engineering project institute. These enterprises make Belarusian Railway truly a business giant, incomparable in its scope and diversity with any other business in Belarus. Some branches have broke off, but the responsibility is nevertheless overwhelming for one agency. Accordingly, the ability to diversify is limited, efficiency is hard to measure, and personal responsibility for the company dissipates into an ever growing bureaucracy. Structural division according to the pattern set by the European Union regulations can become a part of the solution. For example, an analogue of Belarusian Railway in Poland, PKP Group, inherited the same structural problems as those facing railway enterprises in Belarus. However, the original PKP structure was transformed in 2001 and divided into separate companies. While a parent company, Polskie Koleje Państwowe, still exists, intercity transport is now operated separately from transport within the Tri-city area of Gdansk, which is also different from local connection trains. Private investors now own the freight transportation, while IT services, rail management, energy services, and communications belong to separate businesses. Such division would benefit the management of the railway system, since all these aspects are managed by one large body. Moreover, while some branches of the Belarusian Railway, such as freight transportation, are highly profitable, others, such as passenger transportation, function solely on subsidies. Separation of such branches would contribute to a more stable financial situation, more responsive management and a flexible system of transportation that would be ready to adjust to market needs. 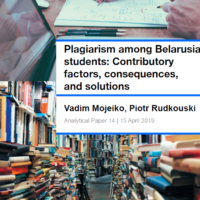 Moreover, while some parts of Belarusian Railway function as subsidiary enterprises, in its current state such divisions often lead to conflict of interests. Even with the current system of structural division, nepotistic practices occur, and allocations for projects are based on opportunities for the largest appropriation of resources. Well executed privatisation could improve the financial stability of the enterprise as well as improve the client's experience. If management were more interested, it would be possible to conduct surveys in order to determine the traffic volume on certain routes. Accordingly, passenger traffic could be optimised and the low-volume routes either suspended or made seasonal. It would be beneficial to conduct customer surveys and forecasts, leading to a potential traffic development strategy based on interest in certain routes. While the freight transportation division of Belarusian Railway is considered profitable, this is not always the case. Currently, local freight transportation costs in Belarus are artificially lowered for local retailers. Privatisation processes would be able to contribute to a more healthy financial solution. Policy for small-scale private transportation of goods should become more simple in order to compete with the more widespread use of lorry transport. Lastly, private management would avoid large scale show-off projects that are neither financially profitable nor rational. Some such show-off projects of Belarusian Railway included City Lines, which promised only 15-minutes of wait time, and the airport train, which has to change locomotives as well as direction on its way to the airport. In this context, it is evident that Belarusian Railway has to modernise. It needs to become more competitive in the face of other types of traffic and economic actors. The railway system must be made more flexible and integrated into the current transportation systems in Belarusian cities. The service, in turn, must be brought up to date with faster, better-equipped trains, a developed loyalty system, and more IT integration. However, in order to bring about these changes, The Belarusian Railway must break up the one-man monopoly, acquire a more flexible management system, and become more responsive to the needs of the economy and its clients. The Minsk City Court is currently dealing with the high-profile case of a drug-dealing network, known as LegalMinsk. After its launch in 2011, it grew into the biggest online retailer of so-called 'spice' drugs. According to the prosecution, LegalMinsk infiltrated several law enforcement agencies and aspired to monopolise drug trafficking in Belarus. Criminals use the open borders to Russia to import the newest psychotropic substances, while persisting gaps in Belarusian legislation allow them to operate with impunity. Gangs also profit from the use of the newest IT technologies and recruitment of corrupt policemen. Over the last two years, psychotropic substances have turned into a serious issue in Belarus, seriously affecting teenagers and young people. The state is struggling keep new drugs under control with harsher punishments, yet drug-dealing gangs always appear to be one step ahead. On 3 May 2016, the Minsk City Court sentenced 14 individuals, who organised a drug dealing gang, which had been operating in Minsk and Hrodna for almost two years. It specialised primarily in the online trade in psychotropic substances. According to the state prosecutor Alena Krupenina, the gang consisted of young people, aged between 17 and 25, most of them unemployed. Now all all of them face prison terms between 10 and 15 years with confiscation of property. This case unfolded, as the police found 'spice' drugs, stashed in one of the Minsk daycares in December 2015. The use of such hiding places is a common method, which drug dealers choose to avoid direct contact with their customers. Not all of the gang members knew each other personally, as the group operated online. High degree of technical skills allowed the criminals to evade the police for a long time. For instance, one of the defendants used Tails, an open-source operation system, designed to secure complete anonymity. The “case of the 14” reflects recent trends in drug trafficking in Belarus. In 2015, Belarusian police closed more than 100 online stores which sold drugs and psychotropic substances and limited access to another 18 websites under suspicion of drug trafficking. For the first 5 months of 2016, these numbers lie already at 34 and 10 respectively. 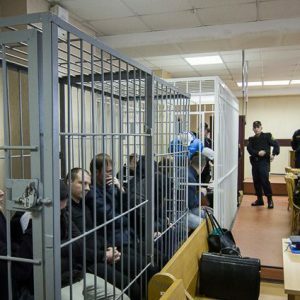 The defendants in the “case of the 14” had criminal connections to the large drug dealing network, known as LegalMinsk. Currently, this is the most high-profile court case in Belarus, involving 17 accused, among them several KGB agents. The illegal income of the network exceeded $1.5 million. One of the accused is a former employee of the Central Department of Combating Organised Crime and Corruption, who provided the gang with expert assessment of the drugs. The chief defendant, the 31-years old Kanstancin Viliuga, allegedly controlled the entire drug market in Belarus and opened several branches in Russia. Viliuga's criminal business imported the newest psychotropic drugs from Moscow under the guise of “legal smoking blends.” He sold them online in Belarus, making sure that these were still not prohibited. The police knew of LegalMinsk activities, as it received complaints that dealers were shamelessly distributing their business cards near subway entrances. LegalMinsk aspired to monopolise the drug dealing market in Belarus. It had extensive connections in the law enforcement agencies and used these to fight the competition. In essence, drug dealers profited from loopholes in the legislation, which lagged behind in expanding the list of the prohibited psychotropic drugs. As the the state was catching up in outlawing the newest substances, the gang kept getting rid of the illegal supplies, selling them to the smaller drug dealing groups and procuring more advanced blends. Even though the prosecution did not have enough evidence to charge the gang members with murder, the officials from the Department of Combating Organised Crime and Corruption are convinced that the gang conducted drug trials on unsuspecting people. In many cases, these led to multiple deaths and injuries. Belarusian legislation battles drug trafficking with harsher punishments. Classified as a felony, drug trafficking can result in 25 years in prison with confiscation of property. The age of criminal responsibility for drug trafficking is now 14 years instead of 16. People, who appear in the public in the state of drug intoxication or consume drugs in the open, face administrative fines. The issue of drug traffic over the Belarusian-Russian border remains an especially worrying trend, as this border lacks customs controls, allowing for easy drug imports from Russia and Asia. Aiming to cut criminal ties of drug traffickers with the Russian illegal market, Belarus introduced criminal responsibility for transportation of drugs over the state border, punishable with prison terms for up to 12 years. On 26 May 2016, new regulations targeted transportation of separate medical substances, introduced special penal colonies for drug traffickers, and determined stricter rules for Internet providers to keep the data on web activities of their customers. Belarusian Ministry of Health is now responsible for creating and updating a single database of all drug addicts. Yet the rates drug-related crimes in Belarus do not seem to subside. In 2015, the law enforcement authorities uncovered 7,356 such crimes. This trend continues in 2016 as well. According to the recent statistical report of the Ministry of Internal Affairs, the police already uncovered about 2,900 drug-related crimes in the first 5 months of 2016. It is evident that drug trafficking business thrives on insufficient border controls, resourcefulness of drug designers, and wide-reaching corruption schemes. Legislation attempts to catch up, yet new laws would be more efficient, if combined with comprehensive educational and prevention campaigns.